Updated Friday April 12, 2019 by Lafayette Generals Football . 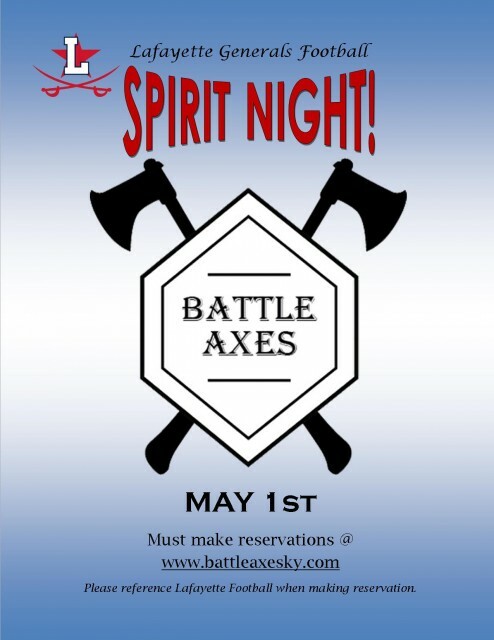 Come throw some hatchets and help support the Lafayette Football team. 15% of all reservation sales go to the Football team. Reserve your pit today!